Is there a magic wand that makes your blog grow? It seems like there is when it comes to certain blogs. They get the wand and bippity boppity boo their way to success. Paid sponsors, thousands of followers. How do they do it? This is a question I've been asking myself lately. I've spent hours and hours researching other blogs and their tips. When I go and look at other blogs I ask myself what attracts me to it? What keeps me coming back to it? Well, I've noticed a few things and want to share them with you! 1. Blog design. Your first impression to your reader is your blog design. If it is appealing to the eye, upbeat and has similar style to what that particular reader likes then they will come back again. If you blog is cluttered, no design plan, and all over the place then most likely they won't take a second look. I'm drawn to clean cut, fashion forward, girly magazine looking blogs with cute colors, no backgrounds and great fonts. My mind is usually made up in the 1st 30 seconds if I like a blog or not. 2. Your photo & about me. I'm gonna be honest here. In my research, pretty, gorgeous women with great fashion sense have TONS of followers. As women, we tend to be nosey so naturally we want to see what lives of other women are like. If we think another blogger is pretty and we want her life or what her life looks like on her blog, then we are likely to follow her. It's really important to have a great headshot and info right under it so people can quickly figure out who you are and get a feel for you and your blog. (note* not all blogs with huge followers had super model writers...its about content too but we'll get to that!) 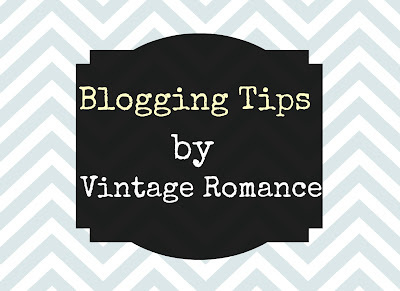 Blogs that have great headshots and cute fonts to describe them really catch my eye. 3.Content. This is super important. What keeps people coming back is your content. They take a quick glance at your content and see if they connect with it. Is it what they like to do? Do they have similar hobbies? Can they learn from you? Does it make them feel and laugh? ARE THEY INSPIRED! If they can connect then they will come back! Inspiring readers is probably the #1 reason why people come back in my opinion. 4. Photos. HUGE HUGE HUGE HUGE! I cannot stress this enough. I will go through a blog longer if their photos are inspiring and beautiful. Also, beautiful photos get pinned more and shared more. I started caring more about my photos and tutorial photos more and I have seen a lot more traffic and features! A lot more pins and comments too! So I encourage you to spend more time on your photography and google google google and pin camera tips! You won't regret bettering your photos. 5. Be yourself. This is also huge!!! People can see it quickly if you are trying to be something your not. I for one struggle to show who I really am and really share my opinions. Again, people want to feel connected to you. I always get scared or who know what when it comes to being bold. In real life, I'm pretty shy and quiet unless you really know me. Then I am a total nerd with my humor. Like TOTAL but we won't go there right now. Also, show that you are confident with who you are or just be honest with how you feel! Don't try to do what you think people will want to see. JUST BE YOURSELF and be UNIQUE. This is what will attract your readers. 6. Link up. Ok ladies. This is a MUST. Like big fat must. This will grow your blog like a mother. This gets your blog out there. Link up tutorials, DIYs and blog hop your heart out. Let me tell you. If you really want to promote yourself then you will spends over an hour a day linking up. I've gained a lot the past few weeks just by linking up. So this really has worked for me. I've also been featured a few places since linking up! So do it! It's super important when you are wanting to grow your blog. 7. Pin your content. Pin away on pinterest. Pin every blog post that can be pinned! Pinterest is huge advertisement for your blog and it's free! 8. Swap ads. This is a big one. Swaps ads as much as you can. I use passionfruit now and it makes it super easy to do so. By swapping you are getting help from other blogs and you are helping them in return. It's a win win for everyone. 9. Comment. Creating relationships with other bloggers is really important.We scratch each others backs. By commenting on tons of blogs you are getting your name out there in bloggy land and meeting new friends! 10. Tweet & FB. Tweet and facebook every post. More exposure for you! Use all of these social networking sites for your benefit! So there you have my 1st 10 blogging tips. No I don't have thousands of followers but I am growing little by little. I didn't get any new followers for months and once I started doing these things I've almost doubled the followers that I did have the last few weeks. Yes, it does take A LOT of time to promote yourself and no there is no magic wands. Bummer, I know. Keep working on your blog and the followers and opportunities will come. I'm still telling myself that so I'm right there with you! I will keep updating my blogging tips as I research ways to improve my blog! great tips. all of them. especially to be yourself... I read somewhere that it is the only thing you can be as, everyone else is already taken.